Welcome to the Children's Book section of my web site. Here you'll find the projects I am working on, the venues in which I have already been published, and children's book illustrations. Soon I hope to add preliminary sketches, perhaps favorite books, and more. 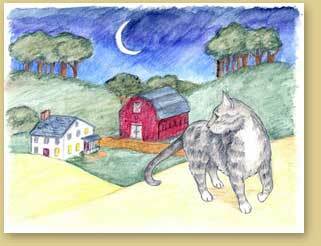 The writing and illustrating of children's books has been my dream for many, many years. Now it's becoming a reality. Please come back often and see how this area is growing and evolving and thank you for stopping by!